The Millennium Estoril Open is coming to an end. The finals are already set and there are only a few players left at the tournament. This Saturday, the winners of the day were Frances Tiafoe and João Sousa in singles and Edmund/Norrie and Koolhof/Sitak in doubles. The last day of the Millennium Estoril Open is coming tomorrow and the names who will play the finals in singles and in doubles are already known. The first match of the day was played between Eysseric/Salisbury and Koolhof/Sitak and it was the Netherlander and the Australian who got the win. In 1 hour and 11 minutes, they won 7-5, 6-3. João Sousa and Stefanos Tsitsipas showed a high-quality tennis this afternoon after taking their match into a final set tie-break. Everyone expected a tight match as Sousa has been showing incredible tennis these last few months and Stefanos Tsitsipas has been playing great and reached the final in Barcelona, last week, after losing to Rafael Nadal in the final. This first match of the center court was lasted 2 hours and 7 minutes and ended 6-4, 1-6, 7-6(4) to the Portuguese. In a tough match for both, it was Sousa who prevailed due to his very solid first serves and the support of the crowd. Tsitsipas played a great second set dismantling the older player who had no arguments to deny Stefanos' tennis. To start the match, Frances Tiafoe broke Pablo Carreño Busta's serve and after it, he held his serve to be up 2-0. 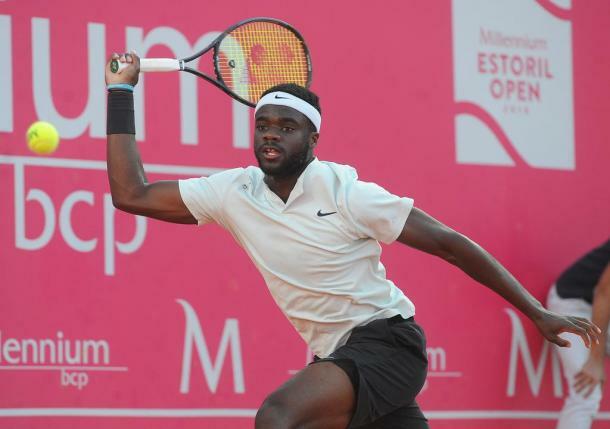 Pablo tried to impose himself by holding the next game at love but Tiafoe didn't show any intimidation as he pursued with the advantage. When serving at 2-4 down, Carreño Busta lost his service game once more and the North-American served for the set. The younger player got the set by 6-2. In the second set happened the same thing that happened in the first one, Tiafoe broke Pablo's serve to take the early break and be up 1-0. He held and the 2-0 was confirmed. During the set, Pablo faced break points but always held his serve until the last game of the match when he was serving to stay in it and after having a game point he got broke and lost the match. The match ended 6-2, 6-3 and lasted 1 hour and 14 minutes. 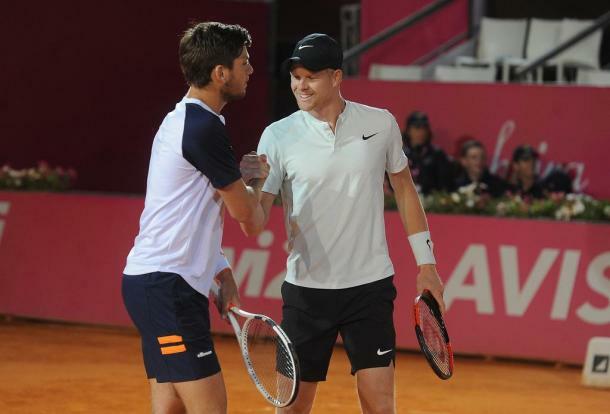 After a marathon in singles, João Sousa had to play the doubles' semifinal side by side with Leonardo Mayer and against Kyle Edmund and Cameron Norrie. Edmund/Norrie won the first set easily 6-2 but the Portuguese and the Argentinean pushed the second set into the last minute as they took the set into a tie-break. The defeated team started the second set with a 2-0 lead but in the fourth game of this set, the all-British team was able to get back on track and level the match two games all. From there on, there were break points but the teams always held their serves. In the tie-break, Edmund/Norrie started winning the first two points but soon their opponents get the advantage back. They would be up 4-2 next and the history repeats itself again as Mayer/Sousa did the 4-4. The British players won all the three last points and booked a place in the final. The match ended 6-2, 7-6(4). Sunday is finals day. 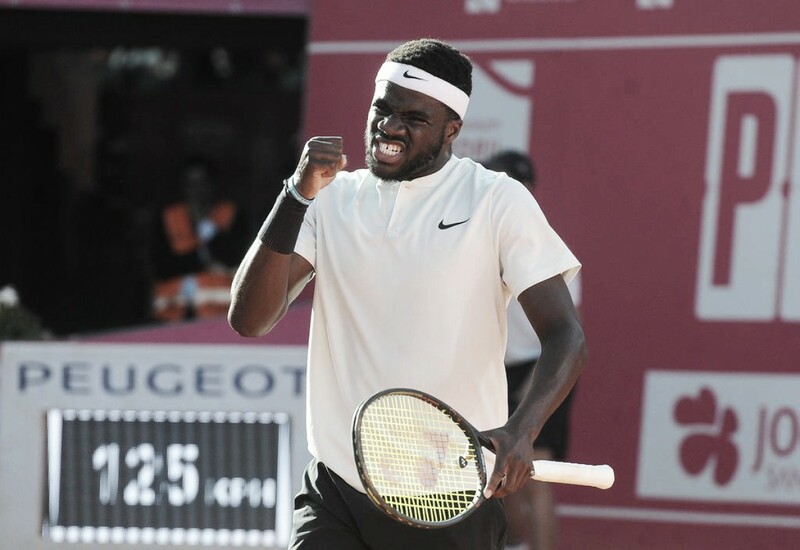 Frances Tiafoe and João Sousa will face off for the title and Koolhof/Sitak and Edmund/Norrie are going to fight for the doubles title. The first match of the day is the doubles match between Koolhof/Sitak and Edmund/Norrie. This is the first tournament of the British guys as a team so they never met their opponents. Koolhof/Sitak had already been in two ATP Tour finals before this year and in one ATP Challenger Tour final, which they won. After the doubles match, the singles final will take place. Sousa and Tiafoe have never met each other before. João has a 14-4 win-loss record since March. Frances won his first ATP World Tour title this season in Delray Beach and reached the quarterfinals in New York the week before. Both players made the fourth round at the Miami Open this year. Sunday order of play at the Millennium Estoril Open.